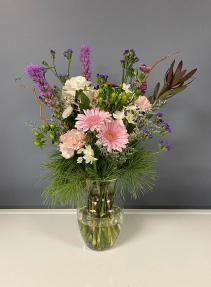 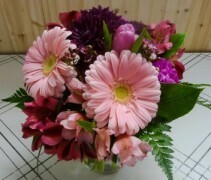 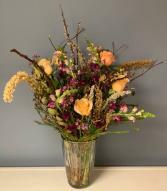 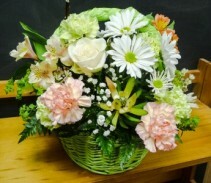 includes: rose, carnation, alstromeria, baby's breath, daisy, and premium greens. 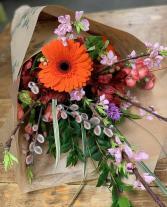 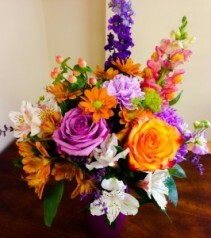 includes: roses, snapdragon, alstromeria, carnation, daisy. 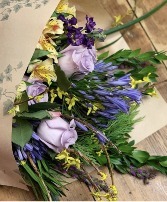 hypericum, delphinium, limonium and premium greens.